By Agus in Mobile. Updated on August 27, 2018 . Stringing words together in beautiful font is fun to do, and now it is also extremely easy to do so on your mobile device. 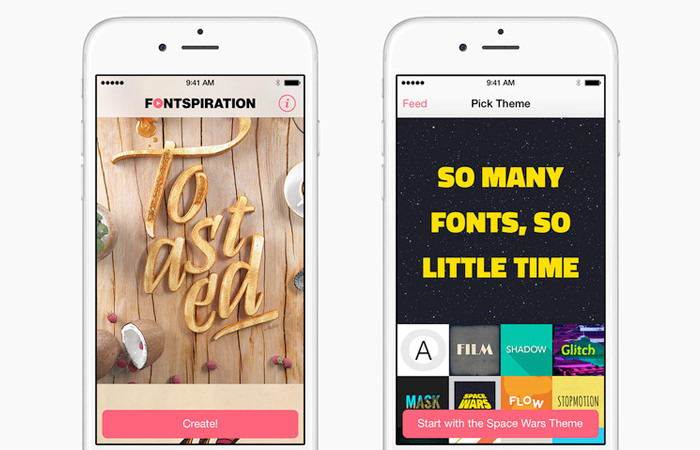 There are plenty of web typography tools and libraries you can use for the same purpose but when it is an app, one you can use at anytime before you share on your social network, come on, who wouldn’t like that? 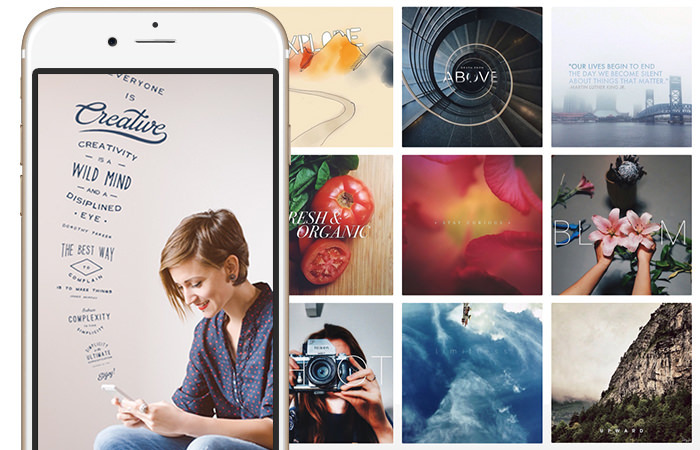 Here are mobile apps that you can use to apply, edit and create cool typography on your photos or as an image to share quickly and easily. 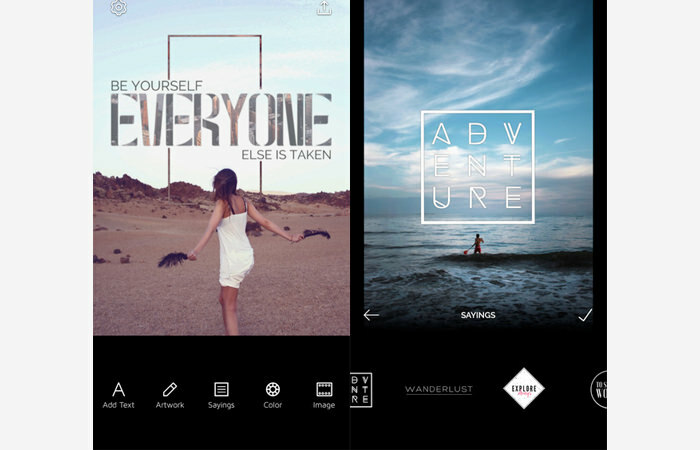 These apps are mostly available on iOS and Android, and are free unless specified otherwise. Know of another app that would be a fit in this list? Tell us in the comments. 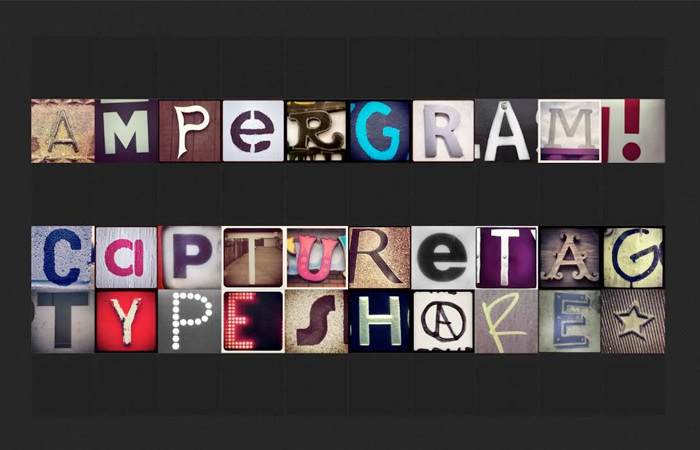 Typorama automatically generates text layouts in 35 typographic style from hundreds of available font. 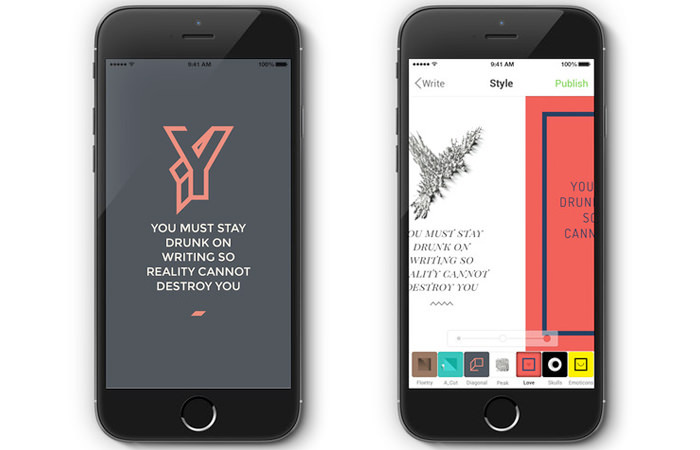 Select a background, type a few words, style your text and your typography is ready. Play with 3D distortion, shadow, gradient, filter and add ribbons, badges, or ornaments to enrich your design. You can then use the result to post on your Facebook, save as wallpaper, make a flyer, and many more. 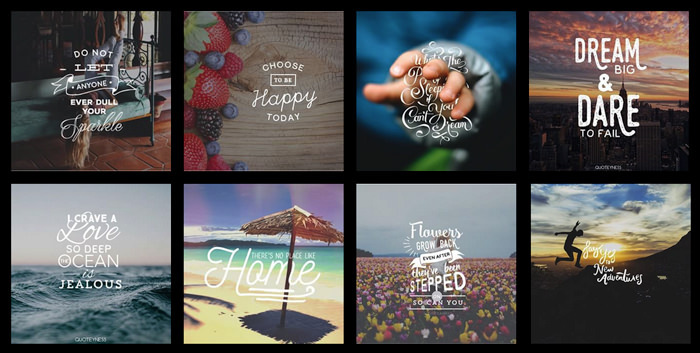 PicLab is a photo editor with the capability to add beautiful typography and artwork. 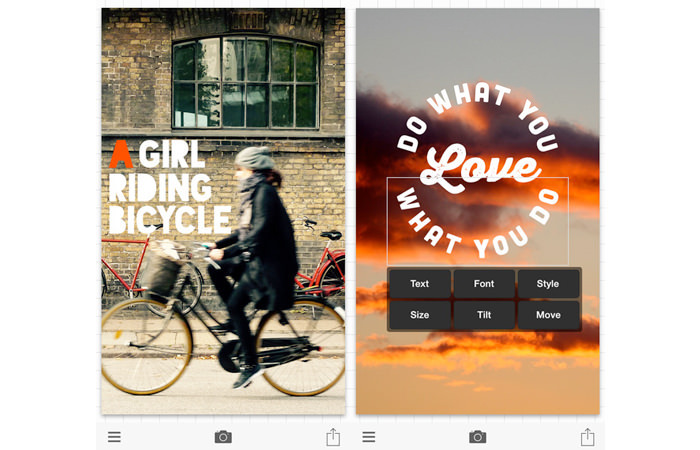 You can apply effect, filter, light FX, textures, borders, patterns and stickers on your photos and let your creativity shine through with best font collections. 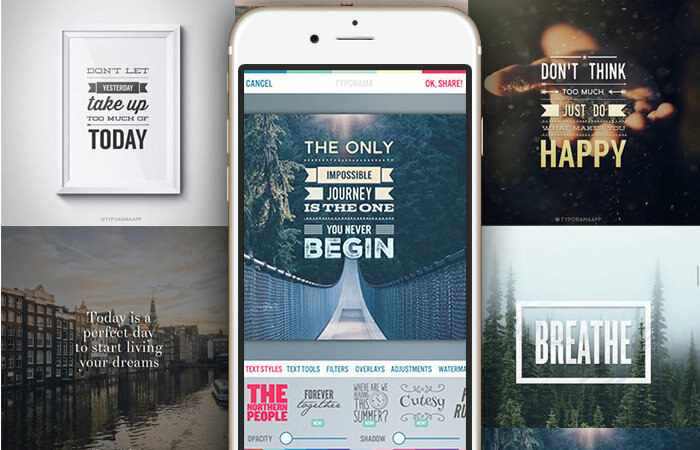 Font Candy lets you mask your photos with captions or by adding text overlay on your images with amazing handpicked font. 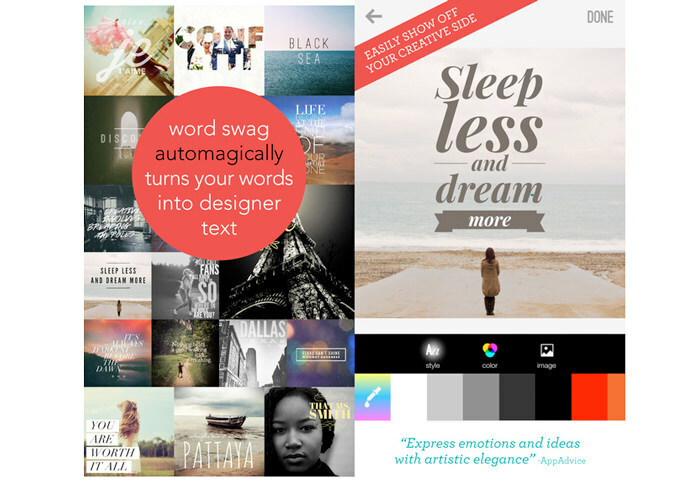 You can choose artwork or using preset sayings to add to your photos, in stylish typography of course. 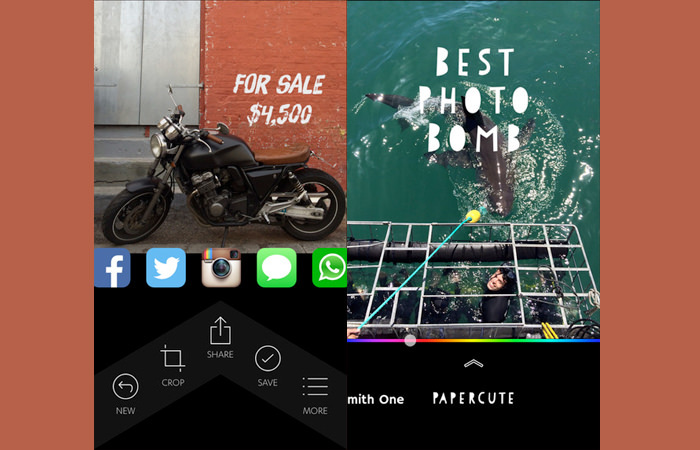 With Quick you can add text onto your photos in a snap. Pick a photo from your album, then add some text. As you slide through the different fonts provided by the app you get a quick view of how the type looks on your photo.